The vast majority of Argentine Jews are descended from immigrants who arrived from Europe. These ashkenazic Jews migrated from small towns or shtetels of Poland, Lithuania, Russia, Germany, Romania or Ukraine, leaving behind most of their Jewish relatives. After two or three generations, those Jewish families lost track of their relatives, having been saved from the war, emigrated to other countries like USA, England or Australia. This is an open forum to discuss the origin, the meaning and the family stories of the surname EINGUEL. Both your knowledge and the oral tradition of the origin and meaning of this surname will be helpfull. Using the Daitch-Mokotoff Soundex Code we can obtain some variants of scripture of the same surname. Below you will find the variants of scripture we have in our database. They will be useful to find and to determine the EINGUEL meaning. We invite you to post your knowledge and familiar tradition about your surnames. JUST DO IT at the end of the following posts. You can also try to find relatives posting here information about your relatives you are searching for. 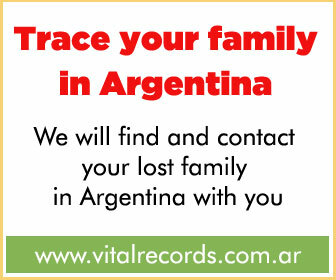 We locate and contact with you the branches of your family that has emigrated to Argentina. 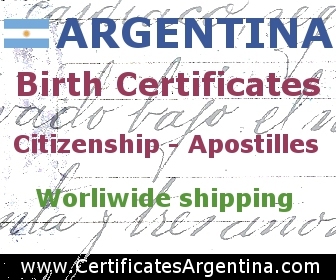 We also get birth, marriage and death certificates for legal procedures (legalized and apostilled and delivered worldwide) or just for genealogy. These are charged services. Use these variants to find more information about the meaning of a surname and to try to find relatives who have a variation in the scripture of your surname. Try to search for EINGUEL in the Jewish Directory of Buenos Aires 1947. Can we notify you with new comments about your surname?